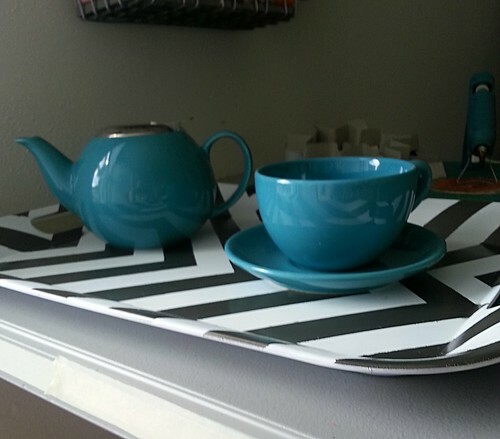 Sew Festive Handmade: DIY coffee table tray! Ok, so this isn't sewing related, beyond the fact that it would make a neat quilt pattern, but I thought I'd share in case anyone was looking for a cheap project! 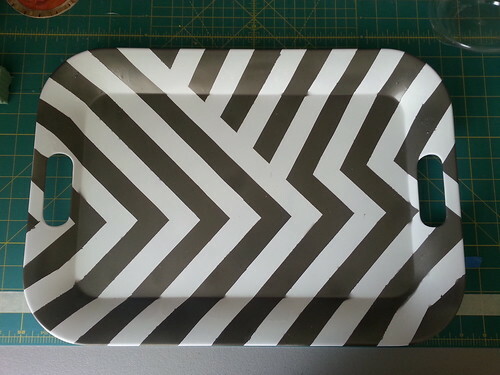 I made this cute chevron tray that I LOVE. I've been wanting to make a tray for my coffee table that doubles as a good tray to carry my dinner out to the porch. And I specifically wanted my tray to be white and an aged silver. I bought a tray at a craft store that was horrifically pink and then I spray painted it flat white. 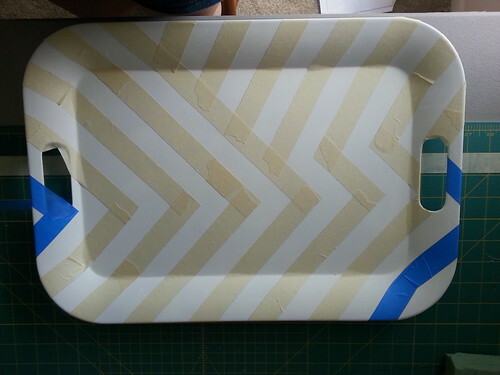 Taping the chevron pattern took a while but other than that it was really easy! Then I simply sprayed the tray with the darker color and pulled away the tape! There was some color bleeding, but I love the result anyways. I bought the tray with a coupon for about $8 [although I know you can find big trays for super cheap at IKEA] and then bought 2 mini cans of spray paint for about $2 each. A custom tray for $12? Yes, please! The tray has great design and pattern . I will try this option of using the colored tray to serve coffee . Great tray. What a fun craft day.